Proposed merger partners LAN Airlines and TAM saw share prices fall sharply this morning following the confirmation of an anti-trust investigation into the deal. 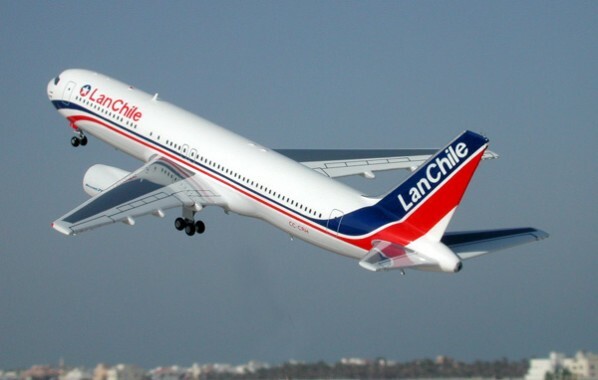 Chilean flag-carrier LAN saw shares dive four per cent as the National Consumers Corps (NCC) demanded a competition tribunal investigate whether the link-up adheres to local legislation. Any merger will consequently be delayed until authorities offer approval. Chief among NCC concerns are fears routes between the Chilean capital of Santiago and the Brazilian city of São Paulo, as well as between Santiago and Rio de Janeiro, will be monopolised by a single carrier if the merger completes. The court charged with adjudicating – the TDLC – is in recess until March, further delaying a potential decision. TAM shares were down 7.2 per cent on the Brazilian stock market at 36.61 Brazilian reais ($21.96) following the announcement. The Brazilian Finance Ministry’s Price Administration and Competition Bureau is expected to issue a favourable report on the planned merger between the South American airlines. If completed, the deal will see the newly created Latam Airlines Group – with combined revenues of $8.5 billion in 2009 – move into the top 15 airlines in the world. The deal was first mooted in August 2010.